Alabama in Montreal or Quebec City? Inform me about the next events for Alabama. Enroll yourself to our priority waiting list for Alabama to be alerted when new tickets are available. Filling this form doesn't engage you to any purchase. Legendary Country band Alabama will be performing at Festival Western de St-Tite on Thursday, September 7th, 2017 ! 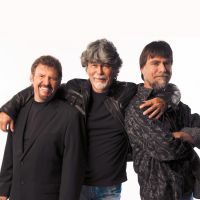 Fans of Alabama will get to hear such hits as "Tennessee River", "Love in the First Degree", "Mountain Music", "Dixieland Delight", "If You're Gonna Play in Texas (You Gotta Have a Fiddle in the Band)" and "Song of the South". Don't miss one of the biggest country-western music festivals in North America this September ! This will be the festival's 50th edition !